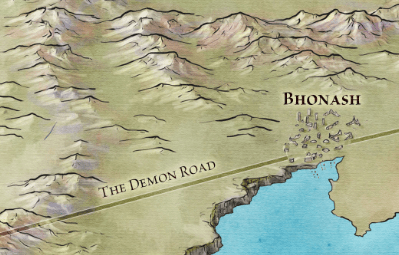 Today, the Dothraki Sea – home to the horse lords who destroy everything in their path. These tribes define a large part of the early books, offering a glimpse into a totally different culture from Westeros. Daenerys is brutally inducted into their ranks to help buy and army, and transforms to become a Khaleesi in her own right. She travels the great grass Dothraki Sea, passing the ruins of ancient civilisations. 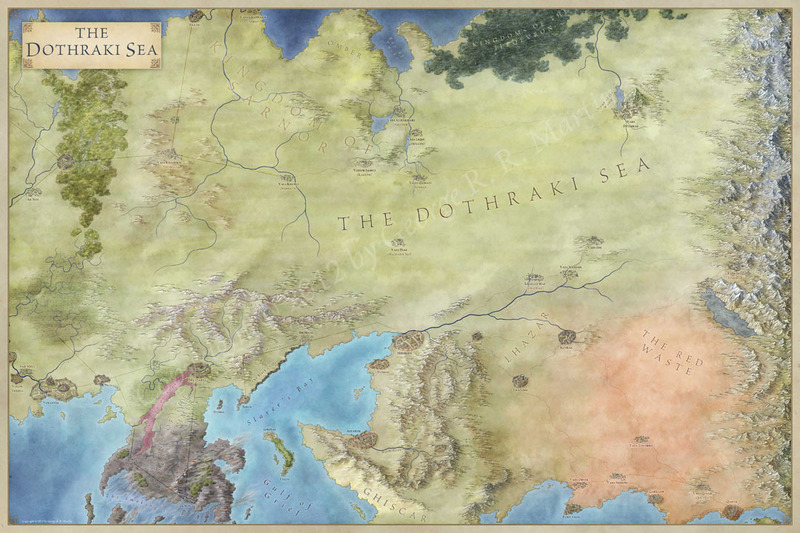 This map is as much about what has gone before as it is about the Dothraki. The ruins of cities long abandoned litter the map. The destroyed Kingdom of Sarnor lies to the north of the Dothraki Sea, the Kingdom of Ifeqevron to the North East. But neither extinct Kingdom rivals the mess that is left of Old Valyria. 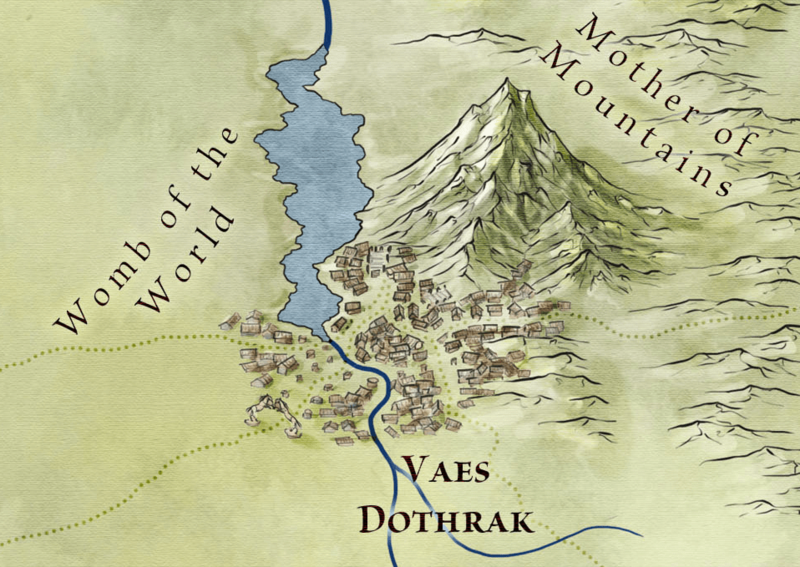 The Dragon Roads criss-cross the continent – stark reminders of the scale of the Valyrian empire, and at the hear of the network lies the still smoking ruins of Valyria. One of the things that most engaged me about the world of A Song of Ice and Fire was the sparing use of fantasy. The books focus on human struggles and human drama – love, betrayal, and ambition above all. Where other fantasy places wizards and magic at the heart of the story, Game of Thrones harks back to a more Arthurian structure, where the wizards advise the main characters, and no-one is quite sure what their magic is, and whether it is truly real. On the other hand we have towering walls of ice, dragons, and a land that is rent with fire from the fall of a nation. These high fantasy tropes are writ all the larger by their rarity. They are more fantastical when cast against the mundane – the lemon cakes and the stews of Fleabottom. 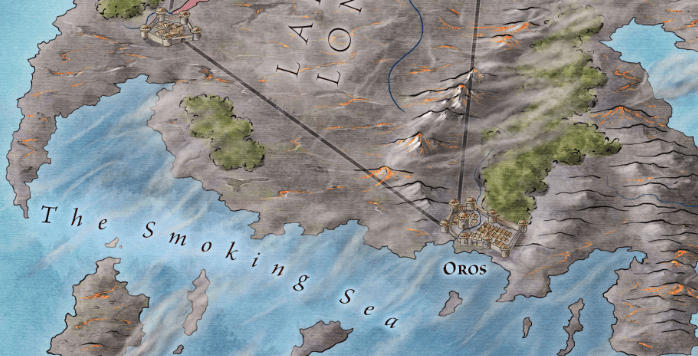 It was an unexpected joy when I got to grips with a land of fire, where the sea truly smokes, and labeled the northern mountains the Land of Giants. There are yet more wonders that happen off-screen in these novels, wonders that are only hinted at in translations of dead languages and the tales of travelers. In a land with sparse fantasy, the Other should always lurk over the next mountain. There should be space on the edge of the map for the un-named fears. 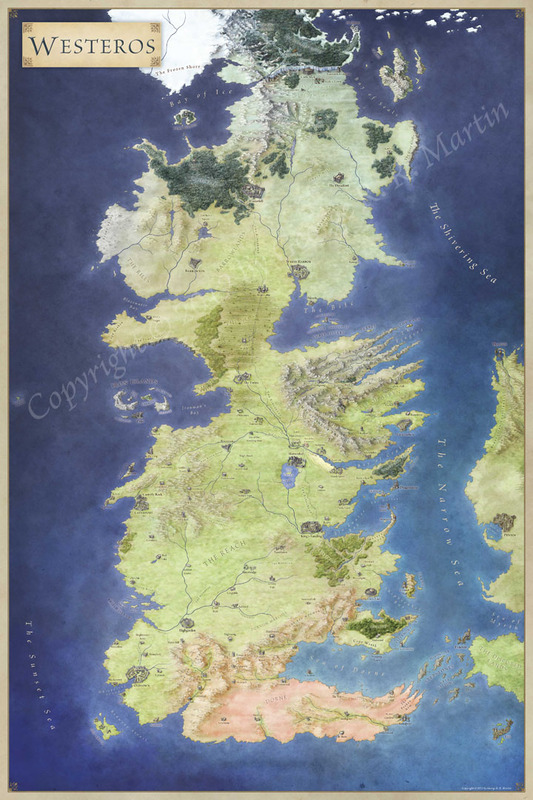 You can pick up the full resolution version of this map, along with the others, in the Lands of Ice and Fire. Lovely! Couple of quick questions: I’ve been trying to draw mountains in the 3/4 style but mine tend to look too sharp. What kind of brush do you tend to use, and how do you shade the mtns/ hills once their basic form is drawn? 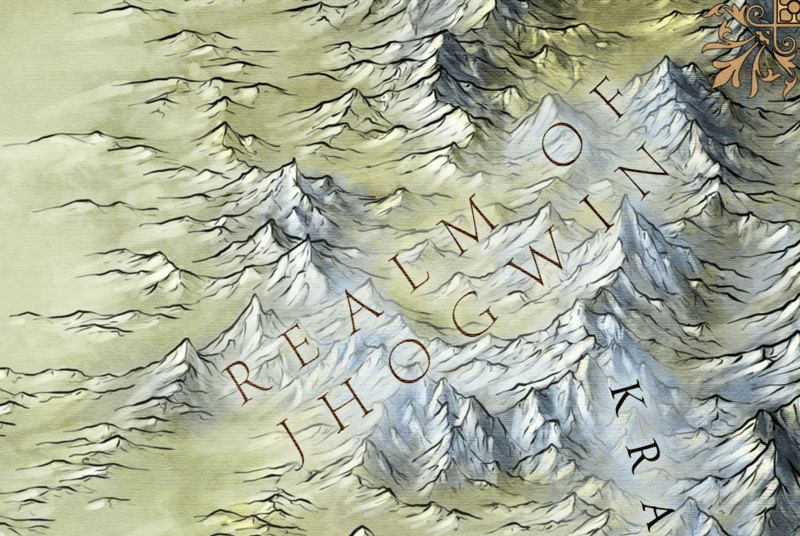 Can you send over a sample of the mountains to jonathan@fantasticmaps.com? I’ll take a look and see what I can do to help. I think 3/4 mountains would make a good video tutorial as well – it’s a style that just needs a bit of practice. And yes, I realise I’ve never put up a tutorial on mountain shading. I’ll remedy that.